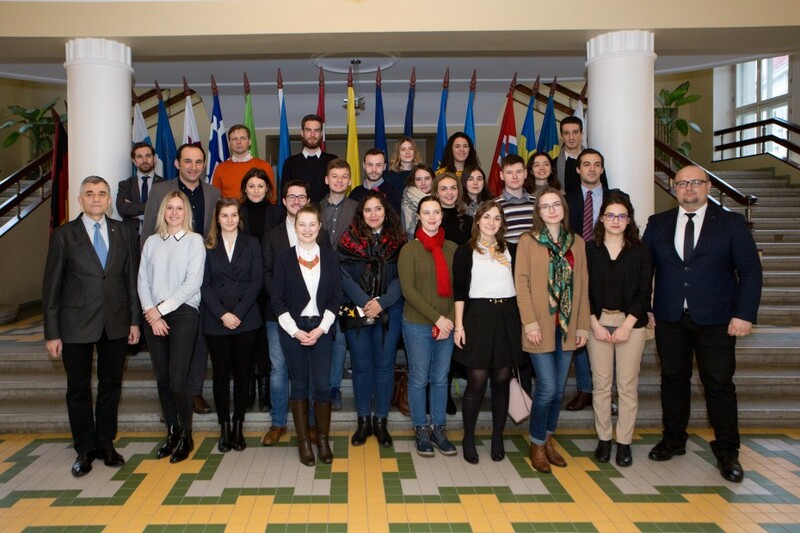 On 10th of April 2019, a delegation of the Natolin Campus of the College of Europe staff and students visited the Baltic Defence College (BALTDEFCOL) as part of their study trip to the Baltic Region. The delegation was headed by former BALTDEFCOL faculty member Dr Andriy Tyushka. The visit has become an annual constituent of cooperation between the two organisations. The guests were welcomed by BALTDEFCOL Dean Dr hab. Zdzislaw Sliwa. The programme of the visit included a presentation on the College and discussions with BALTDEFCOL academics Mr Maxime Lebrun and Dr Viljar Veebel. 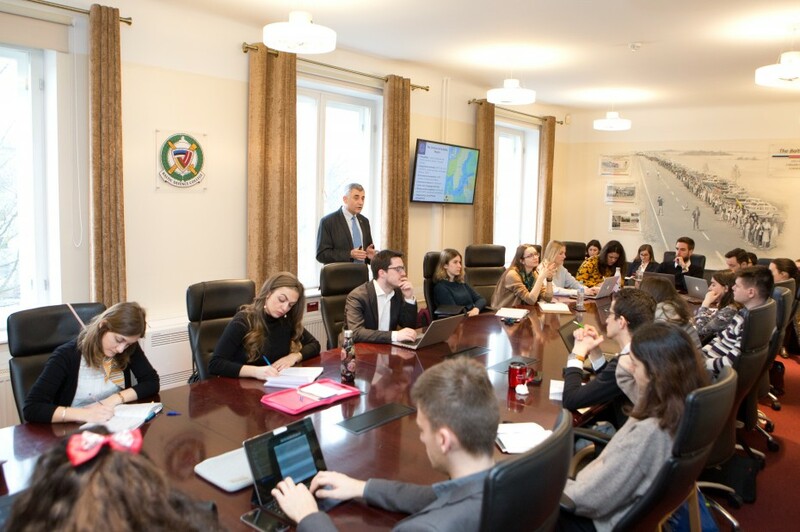 The students were very interested in the regional perception of security in broader sense and it was presented by very active discussion and very focused questions reflecting also the students’ knowledge and areas of interest.